This is hands down the recipe I’ve made the most often, ever. I usually flit from one recipe to the next, but these muffins are here to stay. I started making them when my son was about one year old and hungry like a bear. I wanted to give him healthy, filling snacks, and muffins seemed a logical solution. Back then, I made these Blueberry Banana Muffins in a mini-size and used baby cereal instead of whole wheat flour, to boost the iron content. 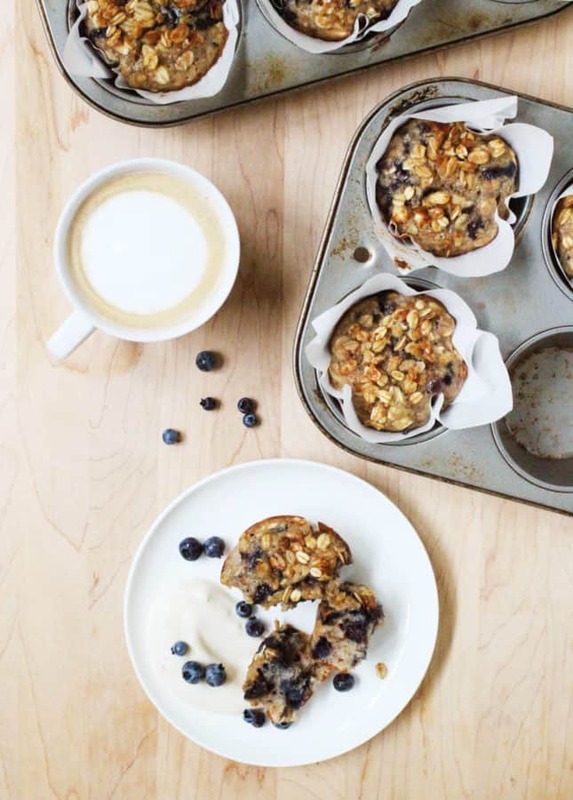 Over time, the recipe has evolved to follow his growing up—and now the whole family has these muffins for breakfast pretty much every other day. To say I’ve baked over a hundred batches of these Blueberry Banana Muffins over the last three years wouldn’t be an exaggeration! 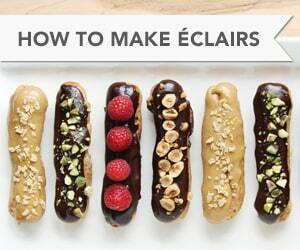 They’re also the first recipe I ever made together with my son, which should tell you how easy they are to make. The ingredients list is no-nonsense, and it’s highly likely you already have everything you need on hand to make the muffins—which means you should get to it right away. You can riff on the recipe and substitute dried cranberries for half of the blueberries, which is something my son often requests we do. 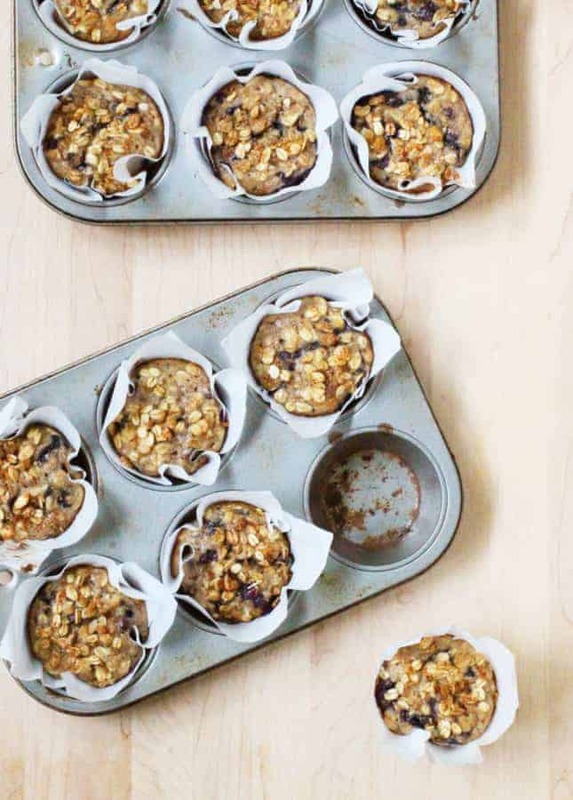 Another tip that ensures you can make these muffins at a moment’s notice is to freeze very ripe bananas. They take about 20 minutes to thaw at room temperature, so by the time you’ve preheated the oven and gathered your ingredients, they’re ready to use. Everyone needs a staple muffin recipe. This is mine, and I hope it’ll become yours, too. 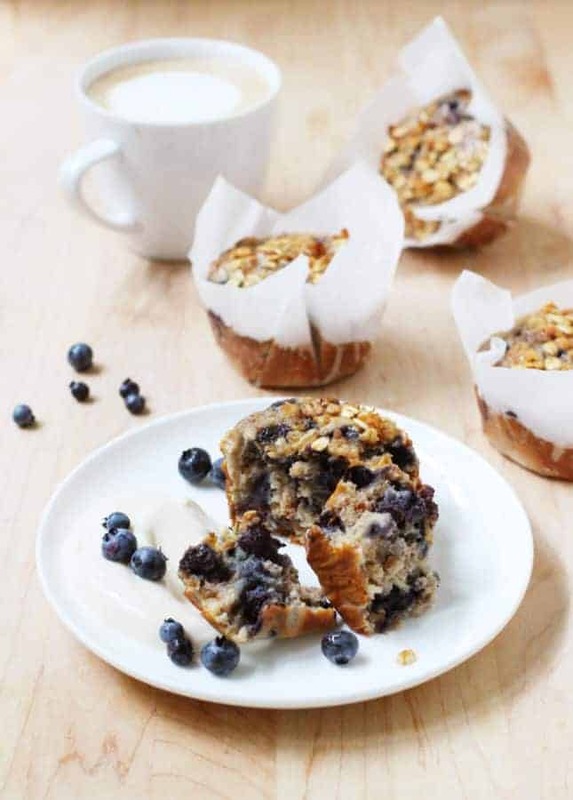 These delightfully moist Wholesome Blueberry Banana Muffins are filled with whole grains, natural sugar, and proteins. 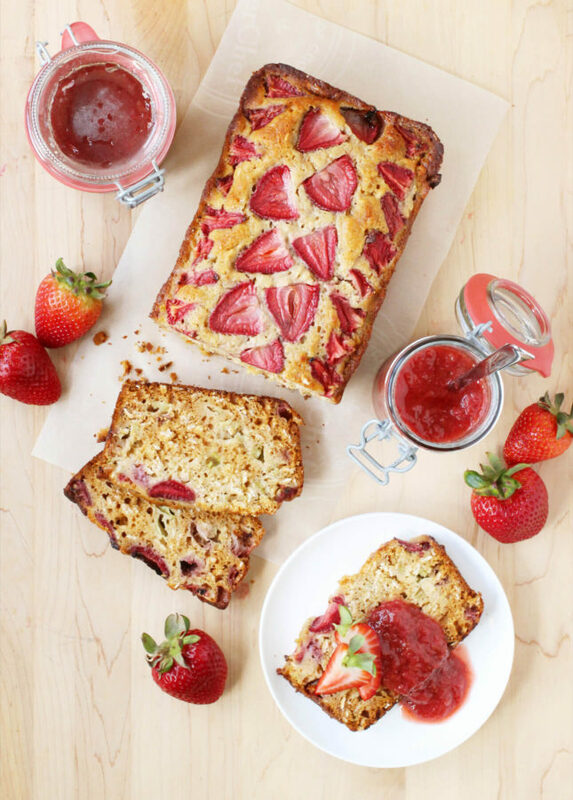 They're the perfect breakfast staple! Preheat the oven to 350°F (175°C). 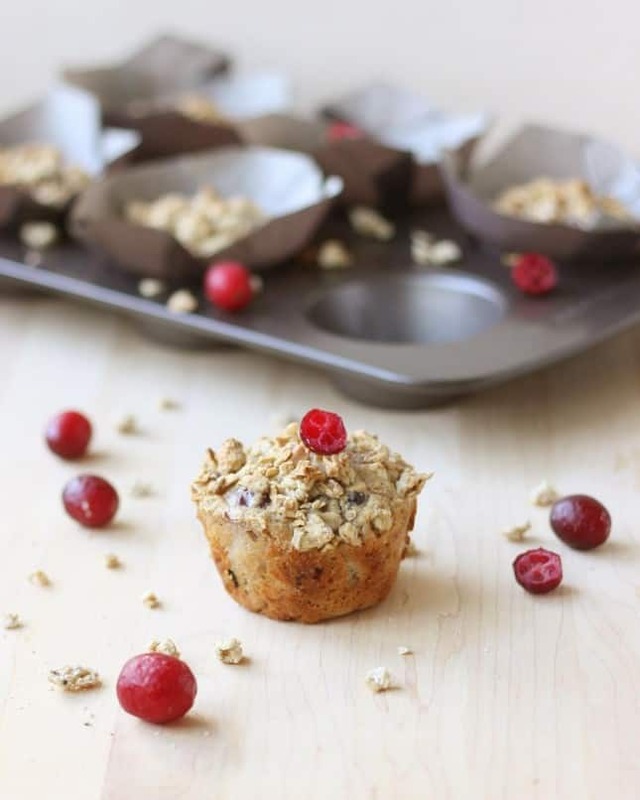 Line a muffin pan with paper cups. 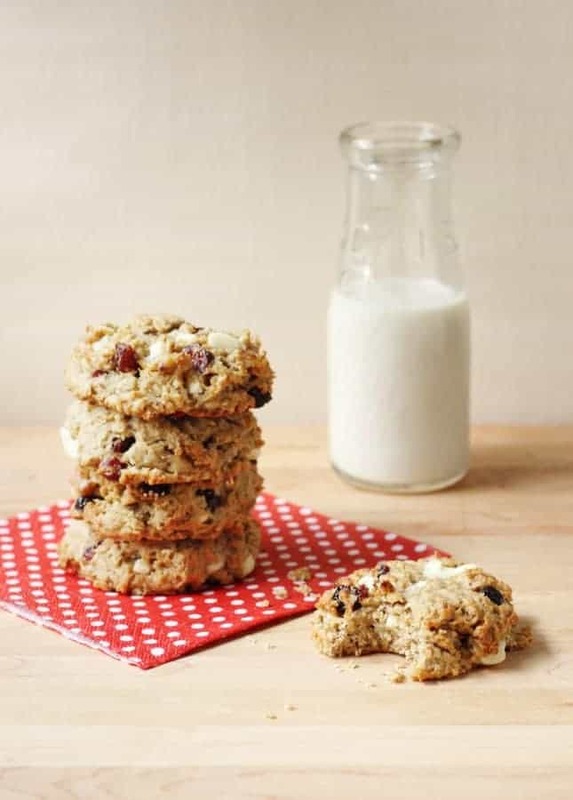 In a large bowl, whisk together the flour, oats, sugar, walnuts, baking powder, and salt. In a second bowl, mash the bananas, when whisk in the eggs, milk, and vanilla extract. Pour over the dry ingredients and, using a spatula, mix just until combined. Fold in the blueberries. Divide the batter between the paper cups. Sprinkle each muffin with Bake for about 18 minutes, or until a toothpick inserted in the center of a muffin comes out clean. Let cool on a wire rack. These muffins are delicious with Blueberry Curd or Greek Yogurt. The muffins will keep in an airtight container for two days at room temperature, a week in the refrigerator, or two months in the freezer.